Sassy talk show host and gossip expert Wendy Williams has announced she is taking another break from her talk show to deal with health issues related to her autoimmune condition. The family wrote in a statement that Williams is suffering from complications from Graves' disease. According to the family statement, the treatment break is necessary and will require Wendy to spend a "significant time" in the hospital. Graves’ disease (named after the doctor—Robert J. Graves—who first described it in a patient in 1835) is an autoimmune disease that affects the thyroid. 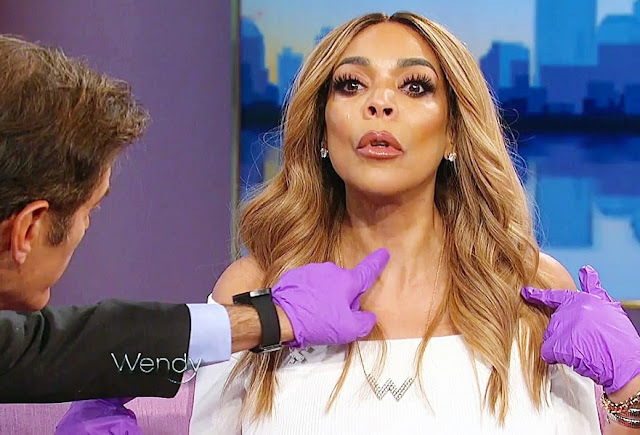 Remember when Wendy fainted on national TV back in 2017. Speaking about the matter, she said,"The costume got hot. All the sudden right before passing out, I felt like I was in the middle of a campfire." Eye problems connected to Graves’ disease (called Graves’ ophthalmopathy) can go from very mild to very severe. In more severe cases, one or both eyes may protrude from the eye sockets (also called the orbits). The medical term for this is exophthalmos, and it can make you appear as though you are staring.